Today’s coffee makers do far more than brew a pot of joe. Some grind beans, others froth milk for specialty drinks such as lattes and macchiatos, and a few even brew iced coffee. CR’s extensive lab tests—and our reviews of top models, here—can help you zero in on the machine that’s right for your kitchen. And new features aren’t the only improvements we’ve seen lately. “Over the past few years, coffee makers have also gotten faster at brewing,” says Ginny Lui, the CR test engineer who oversees the coffee maker lab. For drip coffee makers, we conduct a brew-performance test and measure contact time (how long water stays within the sweet spot of 195° F to 205° F for brewing). For single-serve (pod) coffee makers, our engineers evaluate temperature consistency and size consistency of individual cups of coffee. Then our expert coffee taste tester weighs in. 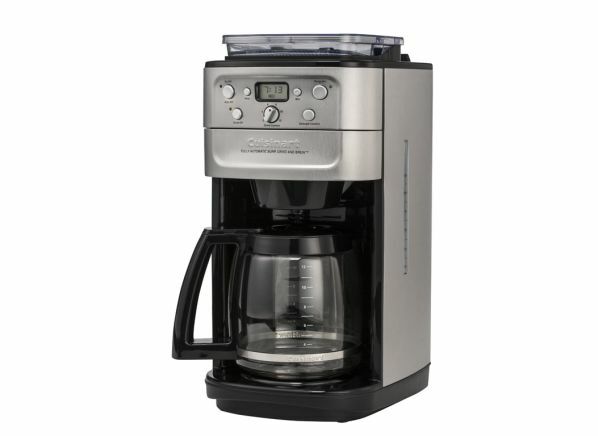 Both types of coffee makers also undergo convenience tests to evaluate how easy it is to set timers, fill the reservoir, clean the machine, and more. And we factor in CR’s survey data on brand reliability and owner satisfaction to create our comprehensive coffee maker ratings. Below are reviews of eight of the best coffee makers currently on the market, in alphabetical order (not by rank). They include models in drip, pod, grind-and-brew, self-serve, and one-mug configurations. CR members can click on each model name for more detailed ratings and reviews. Learn more—and explore more than 100 options—in our coffee maker buying guide and complete coffee maker ratings. 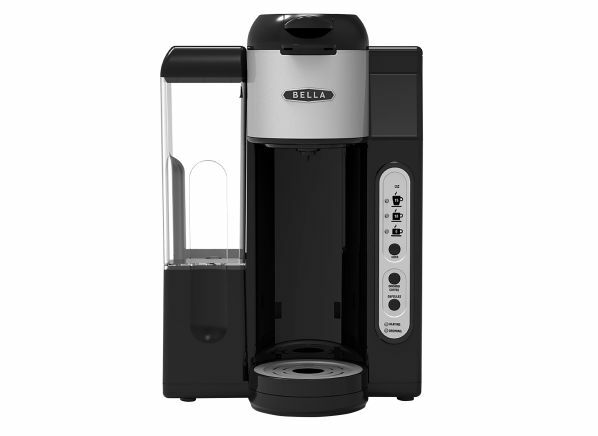 CR’s take: The Bella Single Serve With Water Tank BLA14585 is one of the best Keurig K-Cup brewers you can buy, and it also gives you the option of using loose grounds. It performs well in most of our tests and earns an Excellent rating for convenience. It falls short a bit in our brewing range test, which gets at the ability to vary the strength of the coffee. Not a problem, though, if you like the cuppa joe you can make from the limited range the Bella offers. As for other features, this model comes with a removable reservoir, a height-adjustable drip tray, and auto-shutoff. CR’s take: If you want a coffee maker that freshly grinds beans right before brewing, check out the Cuisinart Burr Grind & Brew DGB-700BC. In addition to its built-in grinder, you’ll get a permanent filter, a water filter, auto-shutoff, programming, a small-batch setting, and brew-strength control. This model earns superb scores in our tests—and, as a group, Cuisinart grind-and-brew machines receive an Excellent rating for owner satisfaction in CR’s survey. 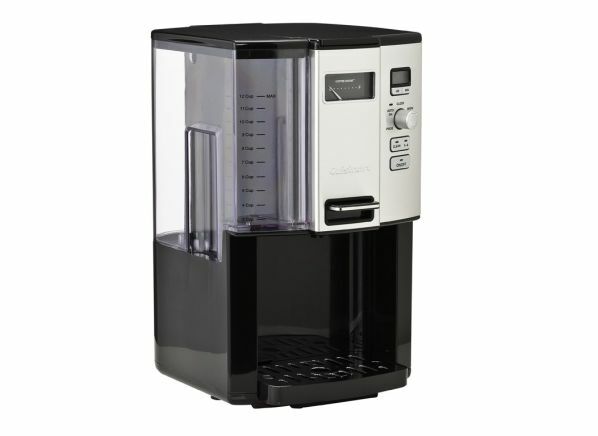 CR’s take: The Cuisinart Coffee on Demand DCC-3000 is a self-serve coffee maker, meaning it forgoes a carafe and has you fill a mug straight from its heated reservoir. This model does well in our tests, and Cuisinart self-serve machines receive a Good rating for predicted reliability. The feature set includes a removable reservoir, a permanent filter, a water filter, a cleaning indicator, auto-shutoff, programming, and a small-batch setting. 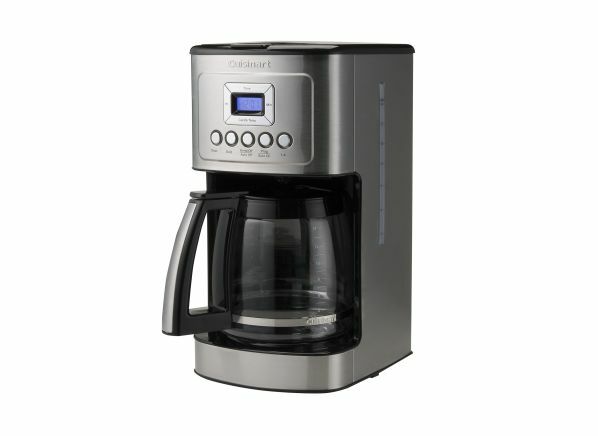 CR’s take: A traditional drip coffee maker, the Cuisinart PerfecTemp 14 Cup Programmable DCC-3200 makes plenty of java for a full house, thanks to its 14-cup glass carafe. 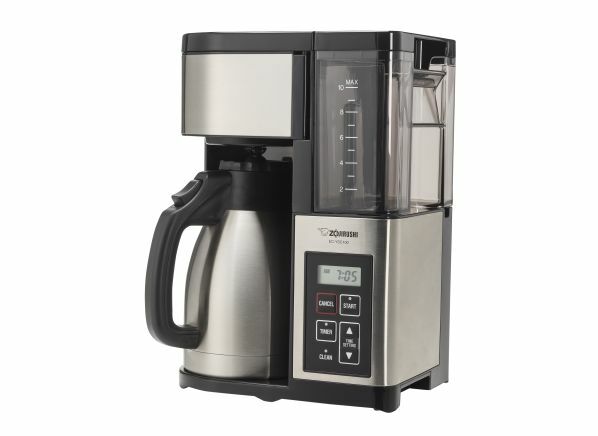 It features programming, auto-shutoff, a cleaning indicator, a permanent filter, a water filter, brew-strength control, and a small-batch setting. This model receives an Excellent rating for brew performance and does well in our other tests, too. It’s a bit pricey, but for the investment you can count on an all-around great machine you can rely on for both dinner parties and chaotic mornings. CR’s take: The unassuming, inexpensive Hamilton Beach 12-cup Programmable 49465R might be easy to miss, but it can brew a mean cup of joe at a fantastic price. 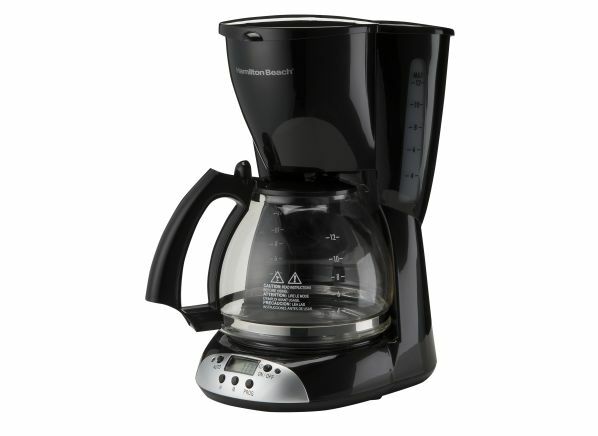 In a basic black-plastic finish, it has the essentials—it’s programmable, as its name suggests, and offers auto-shutoff—and it offers solid brew performance and can make a fresh pot in just 10 minutes. This model even earns a Very Good rating for convenience. At around $25, this simple model will get the job done. CR’s take: For those who prefer Nespresso capsules over Keurig K-cups, the Nespresso Pixie Espresso Maker in Aluminum EN125S is worth a look. 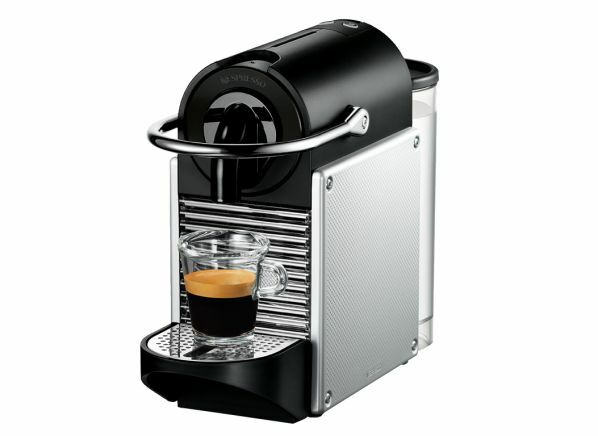 It comes in a sleek, metallic finish and can make both espresso and coffee. It features a removable reservoir, a height-adjustable drip tray, auto-shutoff, and adjustable brew temperature. Our testers give it solid ratings across the board, including a Very Good rating for temperature consistency. 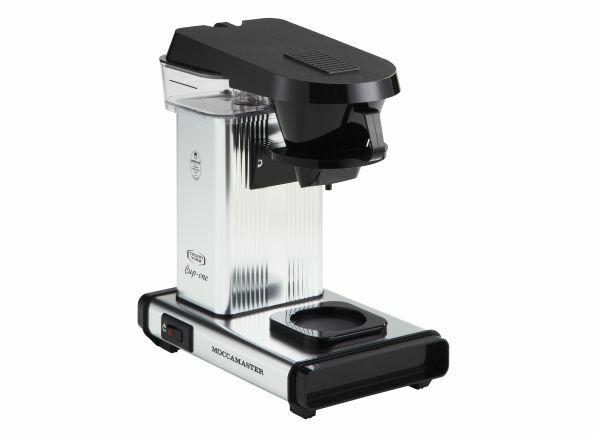 CR’s take: The Technivorm Moccamaster brand is usually associated with high-end carafe machines, but the Cup-One Brewer is a basic, one-mug drip machine. Technivorm one-mug machines do well in our surveys for reliability and satisfaction, but this model doesn’t do well in our convenience tests, receiving only a Fair rating. It’s the most expensive model on this list, yet it offers only one feature (auto-shutoff), so what you’re really paying for is the brand, its looks, and its performance. If you like simple coffee makers, or are a Technivorm fan, this may be the machine for you. CR’s take: The Zojirushi Fresh Brew Plus EC-YSC100 does well in our tests and offers all the features you expect of a modern brewer. It comes with a thermal carafe, a removable reservoir, auto-shutoff, a cleaning indicator, and programming. It does well in our tests but could be better when it comes to carafe handling. Zojirushi brewers receive a Very Good rating for predicted reliability. If you want a machine that will brew great coffee for years to come, this model will probably be your best bet.